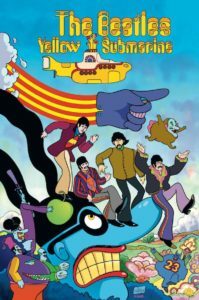 Posted On September 6, 2018 September 4, 2018 By Michael Farris Jr.
Last week, to celebrate the 50th Anniversary of the groundbreaking film Yellow Submarine, Titan Comics released the official graphic novel, created by comics veteran Bill Morrison. Morrison is a comic-book artist, co-founder of Bongo Comics, has drawn promotional art for several Disney films and drawn artwork for The Simpsons, and is now the editor of MAD! Magazine. 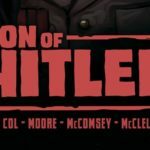 Rogue’s Portal reviewed the graphic novel, and now we’ve had a chance to catch up with Bill Morrison to ask him about the process of adapting the film, his favorite Beatles songs (and what his first “Beatles” album was), plus more! RP (Rogues Portal): How did you get involved with the Yellow Submarine Graphic Novel project? BM (Bill Morrison): It was twenty years ago today…not really, but almost… I was originally commissioned by another publisher to adapt the film as a 48-page comic back in 1998. The deal fell through and I was asked to cease work, but years later Titan obtained the Yellow Submarine license. The folks at Apple had seen my original pages from the 1990’s and asked me if I’d like to complete the project, and since I’ve been mates with the good people at Titan for years due to our work on Simpsons comics, I signed on immediately. RP: What influence have the Beatles and Yellow Submarine had on you? BM: I don’t know if it’s really possible to fully describe the influence the band has had on me, because they just permeated everything, from the time I was five years old to the present. I grew up listening to the Beatles because my older brother and two older sisters were Beatles fans from the very beginning and had all their records. The first record album I owned was also a Beatles album of sorts. It was Alvin and the Chipmunks Sing The Beatles’ Hits. I remember seeing the Beatles on The Ed Sullivan Show, and going to a drive-in movie theater to see A Hard Day’s Night. So they were a huge part of my cultural life growing up. I also followed their solo careers as I got older, so my teen years were dominated by albums like Band on the Run, Imagine, Ringo, Living in the Material World, etc. I don’t know why, but I didn’t see Yellow Submarine until it was on television in the early 1970’s, but I recall seeing posters and other merchandise in 1968 when the film came out. It was all very groovy, and, as a budding artist, very inspiring! 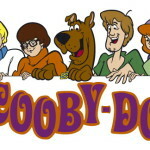 RP: What was it like to adapt an iconic piece of animation and music history? BM: It was a little daunting at first because I know how passionate and discriminating Beatles fans can be. I knew it had to be really excellent. But through most of the project I just tried to focus on hitting deadlines and keeping my creative energy high. My ultimate goal was to end up with a book that Beatles fans like myself would really love, so I figured if I please myself, my fellow fans will probably dig it. RP: Since much of the film relies on music, how did you fill in the musical gaps that are inevitably left out of a graphic novel adaptation? BM: I wrote bits of additional dialogue and narration to keep the story moving through those sections. RP: What would you say was the biggest challenge in working on the book? What was the greatest reward? BM: The biggest challenge was to create an adaptation of the film in a form that doesn’t have sound or animation. I didn’t want it to be viewed as an inferior version of the film, so I had to bring something great to the book that the film doesn’t have. So I used graphic design to my advantage and ended up with something that I think looks like the Yellow Submarine film and a psychedelic poster had a baby. The greatest reward has been reading the reviews and comments of fans. It’s been very gratifying to hear how they’re loving it. 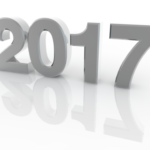 RP: I’m part of a younger generation that grew up on movies like Toy Story that rely on slick computer-generated animation. How would you encourage generations born after Yellow Submarine debuted to view it and draw inspiration from it? How would you say your graphic novel helps enhance that appreciation? BM: 3-D animated film are very focused on reality and convincing the audience that they’re looking at real objects and characters. The rendering is so convincing now and everything has believable textures from hair and fur to fabric, grass, tree bark, etc. It’s usually brilliant, but the work of the artist who initially drew all that stuff tends to get obscured by the rendering. Yellow Submarine celebrates the drawing, and though the animation creates an illusion of life, you still know your looking at hand-drawn characters and backgrounds. I think there’s something really beautiful and pure about that, and with modern 3-D animated films, that’s getting lost. People are going back to hand-crafted artisan things in many areas today such as food and clothing, so I’m confident that young people will appreciate that aspect of the film and the book as well. RP: In creating this graphic novel, you must have watched the film countless times. What moment or scene do you draw the most joy from? BM: It would probably be the rescue of Jeremy and the final battle with the Blue Meanies. It was a lot of fun drawing the Beatles in the Sgt. Pepper uniforms. RP: What other Beatles songs or albums aside from Yellow Submarine do you enjoy and have had an impact on your life? BM: That’s tough, it’s all so great. I used to lean toward the later albums like Sgt. Pepper, The White Album and Revolver, but lately I’ve been more interested in listening to the earlier stuff, A Hard Day’s Night, Beatles For Sale, Help!… That’s probably because I took up drums a few years ago, so I like decoding Ringo’s drum parts on those poppier songs to see if I can play them. As for favorite songs, Hold Me Tight, Please Please Me, Help!, Think For Yourself, Savoy Truffle, Here, There, and Everywhere, I Want to Tell You…I could go on and on. Hey Bulldog is my favorite from Yellow Submarine though. RP: Aside from buying the graphic novel adaptation, how else would you recommend fans of the Beatles celebrate the 50th anniversary of the film? BM: First, find a screening in your area and see it on the big screen in 4K! Also, there’s some really fun merchandise out now, like the vinyl toys. RP: Are there any future projects from you that we can look forward to? BM: I’ve got my hands full running MAD Magazine at the moment, so if people want to see what I’m upto, they’ll have to pick up copies of MAD! We hope you enjoyed this interview! 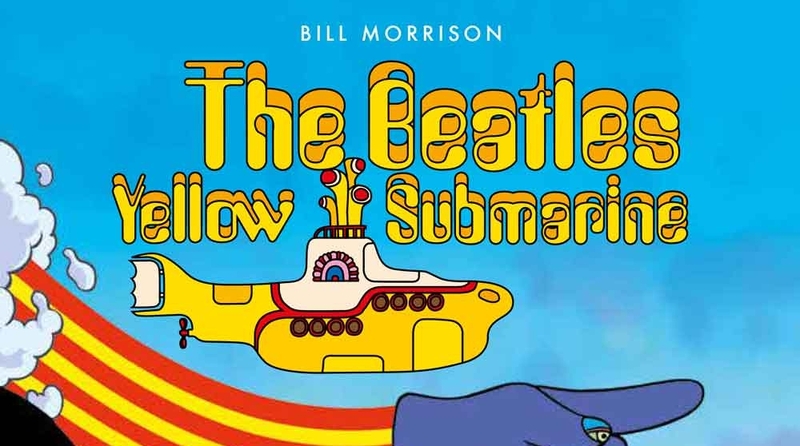 You can pick up a copy of Yellow Submarine at your local bookstores or find it at Amazon. Previous post: Adventures at Fan Expo, with Kids!